Is enough being done to save energy? President Bush recently responded to escalating energy prices by suspending government purchases for the Strategic Petroleum Reserve, relaxing environmental rules for gasoline formulation and launching investigations into possible price manipulation. Soon after, Congress began debating a flurry of energy proposals, including allowing exploration in the Arctic National Wildlife Refuge, streamlining refinery regulations, expanding tax credits for hybrid vehicles and reforming fuel-economy standards for cars. With Congress polarized, the outcomes are unclear, but voter unrest over high gasoline prices might prompt the passage of some bipartisan legislation. 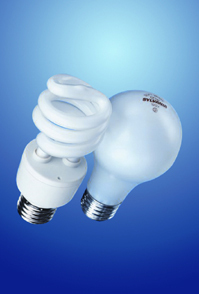 Environmental groups are hoping for proposals focusing on promoting energy efficiency. Since the Arab oil embargo of 1973, fuel-economy standards and other energy-efficiency measures have produced energy savings throughout the economy. But market barriers prevent the adoption of many measures, and there is disagreement about how far government should go to promote them.